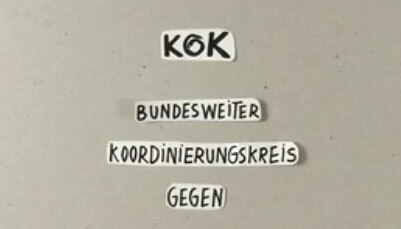 The KOK e.V. is a non-profit organisation. We are a union of women’s organisations throughout Germany that combat trafficking of women in the process of migration and as such our tasks are diverse and demand a high level of professionalism. 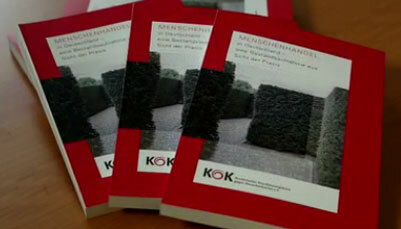 The work of the KOK is dependant on the commitment of its members and the voluntary work of its excecutive comittee. The support of the BMFSFJ (Federal Ministry of Family Affairs, Senior Citizens, Women and Youth) has allowed us to run the KOK coordination office since 1999. The office offers services to our member organisations, as well as functions as a public representative both on a national and international level. Its resources are, however, limited. In order that the KOK can continue to cover a wide spectrum of issues on various levels, it is essential for us to gain your support. Every contribution is welcome! Your support for our cause can be as varied as is our work. We are grateful for any kind of support. Memberships, sponsors, donations, voluntary workers, financing of our projects, trainees or multiplicators. On the following pages you will find more about the various possibilities to support us.